We are pleased to announce that we now have a number of the new DJI Inspire PRO X5R drones in our roster. These amazing machines are extremely capable in a small, highly maneuverable form-factor, at a reasonable price. At DroneBoy we have been flying the DJI X5 camera on our old Inspires for just over a year now (click here for more information on that). That original X5 camera was a huge milestone in drone evolution, as it enabled us to fly a micro 4/3rds interchangeable lens camera on a small seven-pound, easily deploy-able quad copter. The only drawback with the previous model X5 was the bottleneck, writing all the image data being captured on the sensor to the on-board micro SD card, which topped out at 60MB/S data transfer speeds. Before the X5R, on-board data recording to the micro SD card meant high compression ratios and a flatter, slightly less detailed image. Now, with the new X5R, we have the ability to record RAW, uncompressed video files that contain ALL the original data, so our clients can finesse their final product in ways that were previously not possible at this price point. In reality, a lot of this really doesn’t matter a whole lot in most video production workflows, as the final product is usually TV screens and web content. However, at DroneBoy we often get called on for larger, more cinematic feature film projects, where producers and directors want every last bit of data from the original captured image in order to get the very most out of the final big screen edit. … And of course everyone is on a budget… Until the X5R came along, in order to get the highest quality output files it meant flying one of our “Heavy Lifter” drones with a Red Dragon or Arri Mini cinema camera on board. Don’t get me wrong, these bigger machines are awesome and we love the big birds! I can’t tell you that the X5R matches the cinema camera quality 100%, but it does bridge the gap between our giant Heavy Lifters, with their bigger crews, more detailed risk assessment, larger security perimeters and higher price point, and a smaller form factor, two-person crew and amazing quality. Yes, indeed, we are very excited about the X5R in the Inspire 1 PRO. 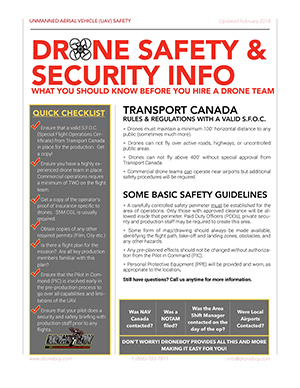 Contact us today to find out more, and to discuss rates on this amazing new drone. We will have video samples available on our website shortly as well.